Black, Wide, Slim. These are the main elements of TV design. But Big, wide black screen makes our space unnatural. 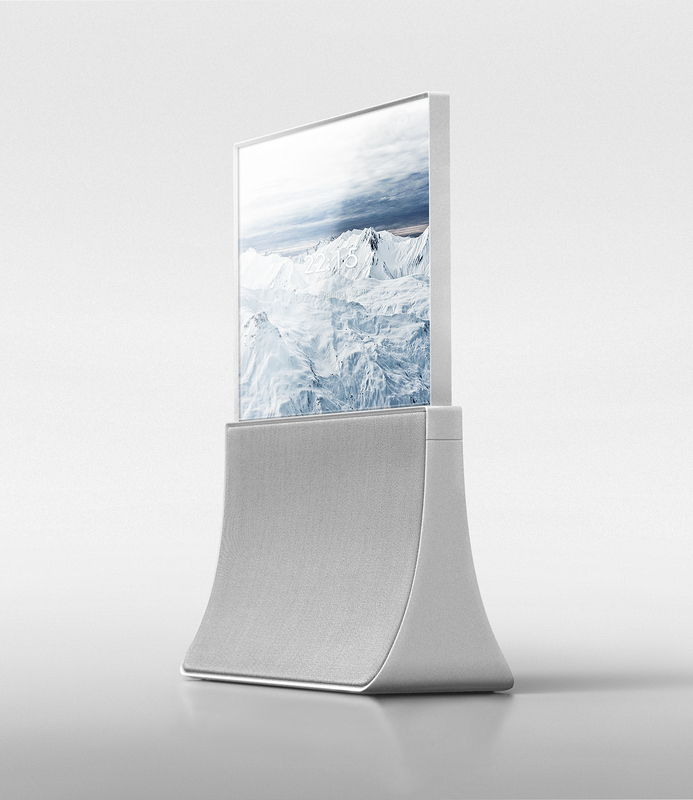 Trend of electronics is 'Furniture' and most product design aims 'Melt in-' Form. Matching trends, TV needs to be changed like furniture. And also new TV needs to change sales target to young buyers, not older generation, to find new market. 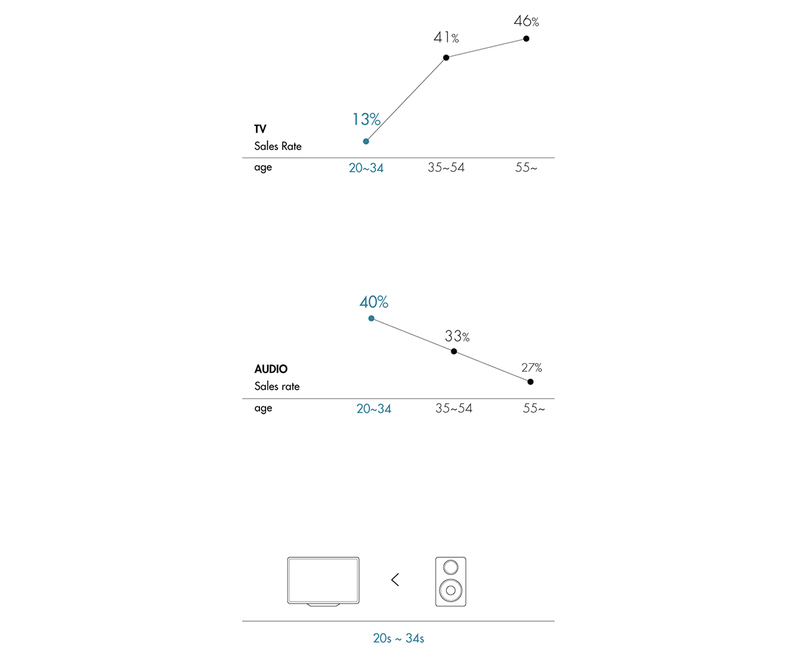 For aiming young buyers, according to sales rate graph, new TV has to be designed which focused on audio function and for personal use. 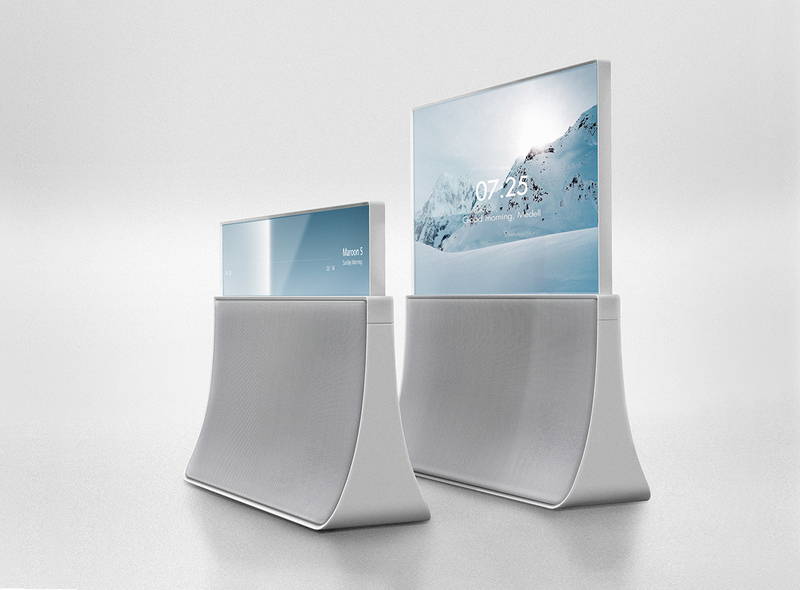 When Using TV and Audio, User's idealized position while enjoying each function is different. Audio needs to be placed low position to spread music in to the space. TV must be on high position at your eye level. 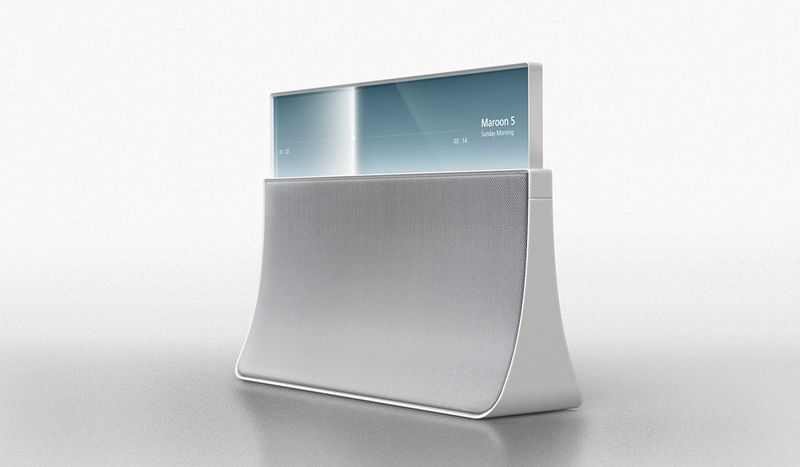 Difference of each ideal position used as main topic of designing form of new TV. 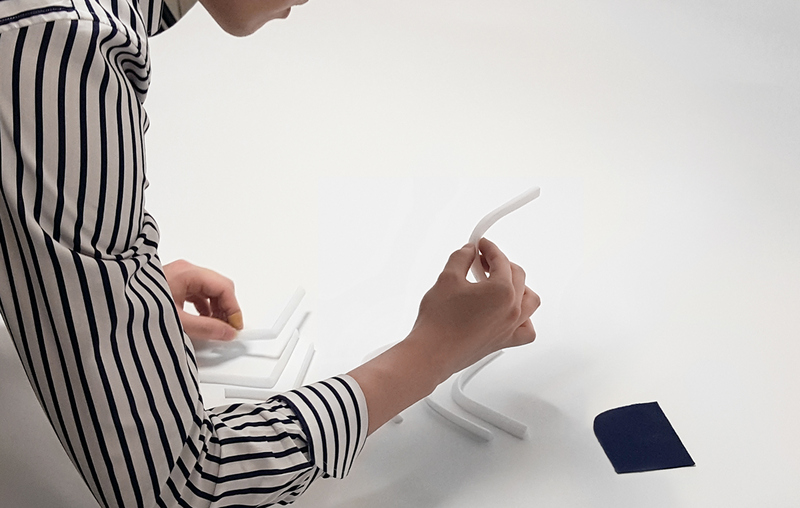 Atelier has quite simple form. So I tried to add some elegant curved line in to frame. Front View is rectangle square. Side view has Y-shape. The corner of the frame was key point of form character. According to sketch, I tried to make various curved lines with form. I removed straight line at the corner of product, and made it's line with slightly curved. Atelier's main function is sound. Speaker is installed in main body behind the fabric. 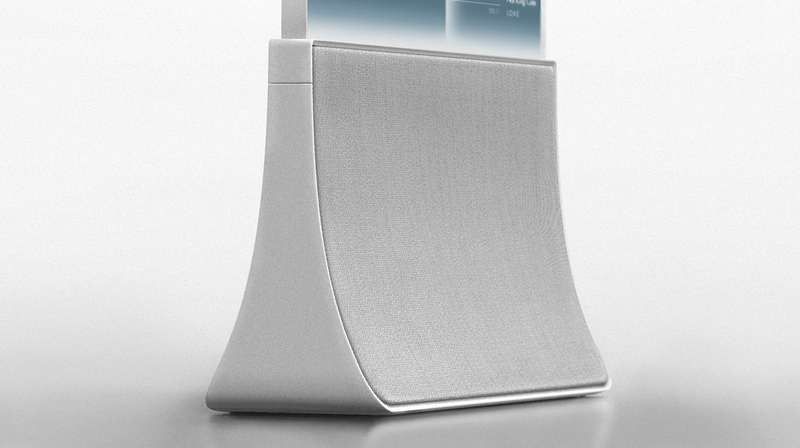 Equalizer and time of music showed on upper display and also the information of music. You can listen music much emotionally with glowing music display. Display is hided when it is not used. You can use full display by clicking it like pen. It slowly goes up with spiral spring structure. Display is only visible when it used. Click once to turn on the TV, and TV will turned off when you click it again. Wide 16:9 ratio : 32" display is enough for watching contents. Proper size that for personal use makes TV as beautiful electronic furniture whenever, and wherever you see. TV's back side needs to look neat ,because it no longer exist in front of the wall. Atelier has perfect symmetry form. You can feel beautiful shape in any direction. You can select color of fabric like picking pantone color chip. And also, there is color code behind the fabric part to input. Not like other TV, Atelier is designed to play ultimate sound. Small tweeters are arranged to front. Big two woofers are in the bottom of it's body to reduce full scale of product and to make better sound. Same language with TV design. Click the top part when using TV. Click again to turn off the TV. Main body always show the buttons related in Audio. Atelier will make your own space to atelier. 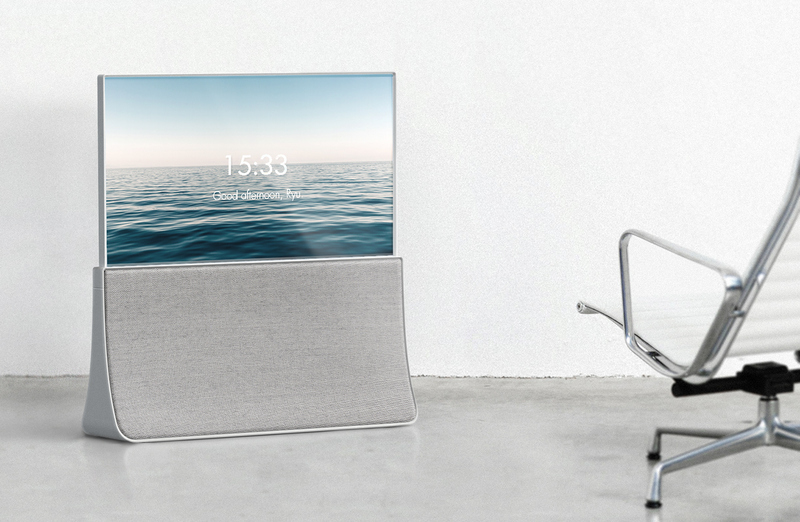 Atelier is the new TV that has different viewpoint on TV. Not as aggregate of technology, But comfort electronic furniture. 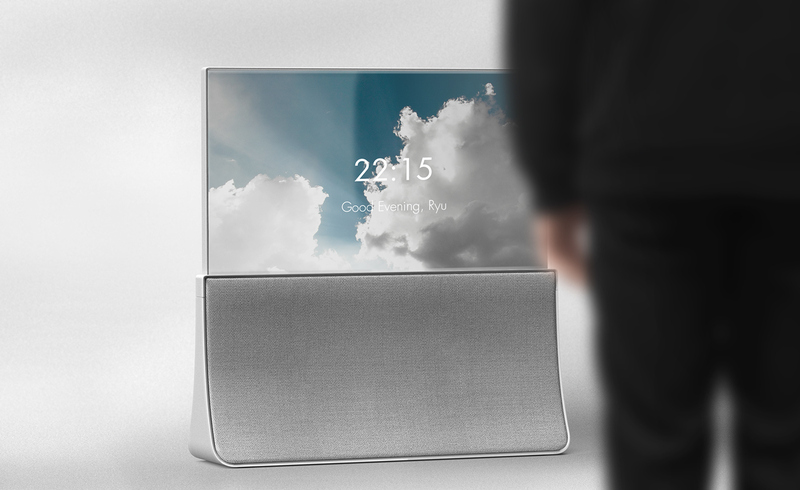 ATELIER TV is new generation of personal TV design that specialized in audio function.